Despite the benefits of a loop ileostomy after total mesorectal excision (TME), it carries a significant associated morbidity. A “virtual ileostomy” (VI) has been proposed to avoid ileostomies in low-risk patients, which could then be converted into a real ileostomy (RI) in the event of anastomotic leak (AL). The aim of the present study is to evaluate safety and efficacy of VI associated with early endoscopy in patients undergoing rectal surgery with anastomosis to detect subclinical AL prior to the onset of clinical symptoms for sepsis. 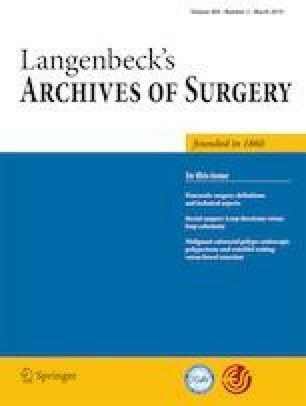 This is a single-center, retrospective study of a consecutive series of patients undergoing elective or emergent colorectal surgery with low or ultralow colorectal or ileorectal anastomosis between September 2015 and September 2016. We included 44 consecutive, unselected patients. Eight patients (18.2%) required conversion into RI and one required terminal colostomy because of AL, of whom 44.4% were asymptomatic and AL was detected with early endoscopy. Fashioning of RI was not associated with further morbidity. All patients with AL converted into RI (n = 8/9) (88.9%), had adequate healed anastomosis, and later underwent stoma closure with no complications. A stoma was avoided in 79.6% of VI. Endoscopy was associated with 55% sensitivity and 100% specificity, with a global accuracy of 88%. 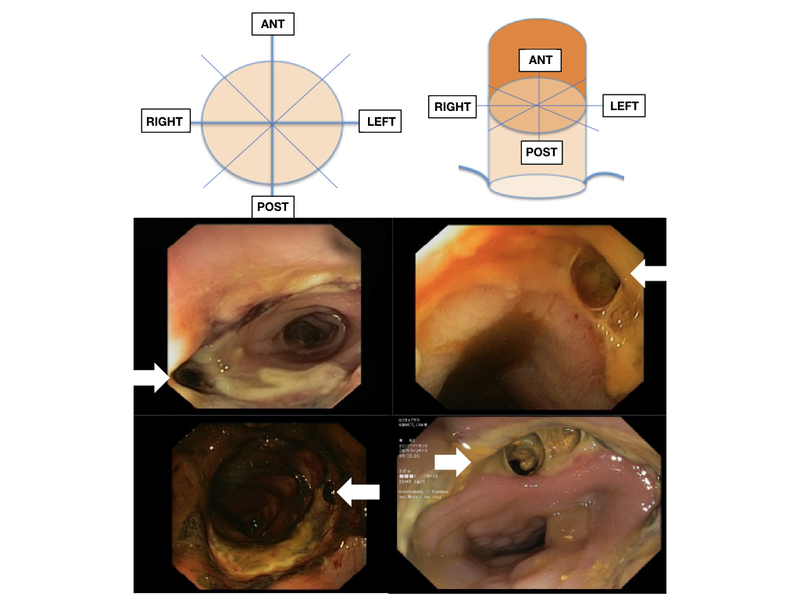 The combination of VI with early postoperative endoscopy could avoid unnecessary ileostomies in patients with low or ultralow anastomoses and reveal AL before the onset of symptoms, thus reducing associated morbidity. The online version of this article ( https://doi.org/10.1007/s00423-019-01776-z) contains supplementary material, which is available to authorized users. The authors are grateful for the professional English language editing to Mr. Arash Javadinejad, English Instructor and Research Editor at the Instituto de Investigación Sanitaria La Fe, Valencia, Spain. Study conception and design BFL, LSG, MF, SDDP, EGG. Acquisition of data BFL, LSG, MF, AGG, MPR, SDDP, VPA. Analysis and interpretation of data BFL, LSG, MF, GP, AGG, MPR, SDDP, VPA. Drafting of manuscript BFL, LSG, MF, GP, EGG. Critical revision of manuscript BF, LSG, MF, GP, AGG, MPR, SDDP, VPA, EGG. The study was approved by the Clinical Research Ethics Committee of the hospital.